What to serve when faced with a big ol’ pile of steamed hard shells? We’re recommending a beer, of course, but also a few things to consider if you want to break tradition and move in a fancier direction. Best of all, everything is in a can and ready for a plunge in a cooler full of ice. 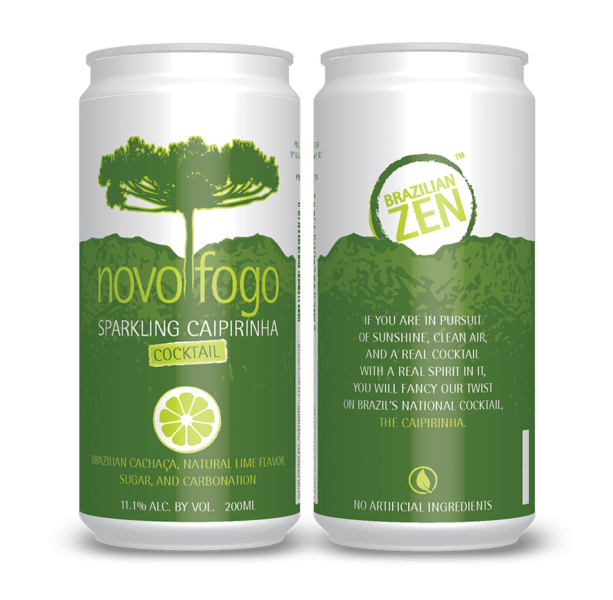 It’s Brazil’s national cocktail—in a can! Inhabiting the same general cocktail space as the daiquiri and the Margarita, the Caipirinha lends itself well to spicy food because of its sweetness and its thirst-quenching citrus zing. Treat those crabs to a little international flair! Fun Fact: Cachaça is a spirit made from distilled sugarcane juice and is mostly made in Brazil.